Audience members who attended the launch of Nikoloz Aleksidze’s book Georgia: a Cultural Journey through the Wardrop Collection at the Weston Library on June 1st also had the novel experience of witnessing the arrival of a further addition to the Bodleian’s Wardrop holdings. A family descendant of Sir Oliver, who was attending the launch, brought his desk diaries to donate to the collection. The Wardrop collection forms the nucleus of the Bodleian’s rich holdings of Georgian books and the donation of the desk diaries enriches this significant collection still further. Dating from 1882-1948, the diaries provide details of Sir Oliver’s daily meetings and activities. They will offer scholars an important glimpse into his day-to-day life, particularly during the critical period leading up to and immediately after the formation of the Democratic Republic of Georgia when he served as the British High Commissioner for Transcaucasia. 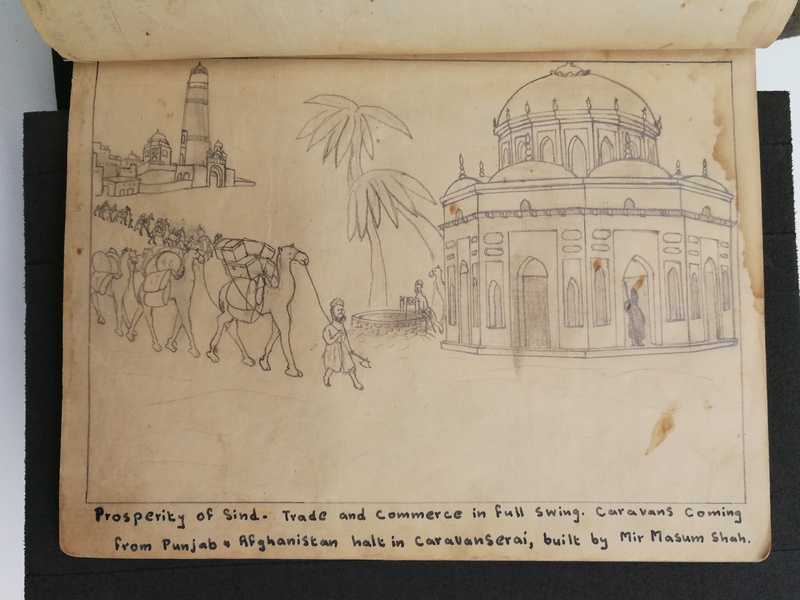 We have recently received the generous donation of an illustrated history of the Mirs of Sindh, given in memory of its author and illustrator Mrs. Amina G. Hyder Khaliqdina. Amina’s family have written an account of her remarkable story and kindly given permission for it to be posted here. Amina was born on 19th April 1919 in Hyderabad, Sindh (presently a Province of Pakistan) to a middle class educated family. Many male members of her family were well-educated, including her grandfather and uncles, and some of them were civil servants of the British government. Amina was part of the Muslim Shia Ismaili Community, which had emphasised female education. However, in Sindh education opportunities were limited especially for women. After losing the battle of Miani with the East India Company in 1843, the Emirate of Sindh lost its independent status and was included as a part of the Bombay Presidency. This was the punishment for Sindh confronting the East India Company and, consequently, for many years Sindh remained underdeveloped. Infant mortality was high. Amina herself was the only survivor from seven births. There were only a few educational institutions within Sindh and for higher education one had to correspond with Bombay University. This made it socioeconomically difficult, especially for women, to achieve higher education. Within this environment Amina achieved matriculation from Bombay University – the first woman in the family – perhaps one of a very few in Hyderabad, Sindh. By 1936 Sindh had separated from the Bombay Presidency and with that a new chapter of development of Sindh began. Hyderabad again became a culturally bustling town. This was mainly due to Hindu Divans who worked on Plantations in the Caribbean and brought wealth to Sindh. They promoted art and culture. Yet female education was scarce especially for muslims. Amina was appointed as head of Art section in Madras -Tul – Banat school. We know very little about Amina’s interest in Art and her degree/diploma related to this book due to her untimely death. According to Amina’s mother, she started the artwork in this book before she started her employment and carried on sketching long after her first two children were born. Considering the lack of resources libraries, etc., and limited access to Bombay University, her book is evidence of her perseverance. The book is written in English. It shows her competence in multifarious skills. In addition, she was a champion for promoting education, regardless of cast, religion or gender. We know that she used to gather together children from the neighbourhood, motivate them, and took them to school. There are many doctors, teachers, and artists who are her ex-students in Sindh and will testify to this fact. She was a pioneer in establishing a reading room and a library for women in Hyderabad so they could read and have literary discussions. Amina was married on 7th May 1942 and bore seven children. She continued working until her fourth child. The concept of a working mother was not very popular in those days but her quest for knowledge and passing knowledge to others overcame all obstacles. She was a positive influence to her husband too and encouraged and supported him. He became Chief Auditor and Director of Finance for the Province of Sindh (Pakistan). Amina’s pictorial description and historical perspective on the Mirs of Sindh is not only a tribute to her Motherland but a testimony to her intellectual vigour, academic pursuit and her artistic abilities. 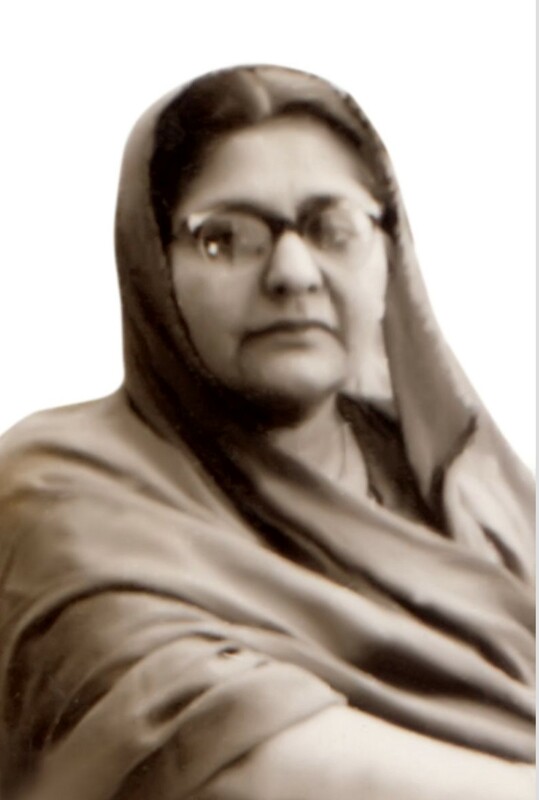 Sadly, her sudden and untimely death on 23rd May 1959, at the tender age of 40 years, deprived not only Sindh of one of her zealous devout daughters, but her parents lost their only child, and her seven young children lost a loving mother and her husband lost a supportive and beloved wife. 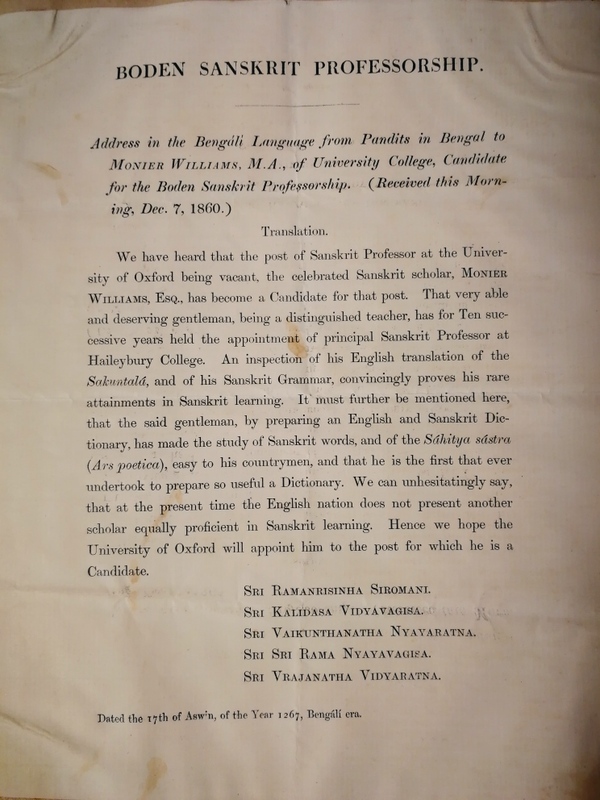 The Bodleian owes much of its rich collection of Indic manuscripts and books to the personal collection of Oxford University’s Boden Professor of Sanskrit, Sir Monier Monier-Williams and that of the Indian Institute Library, which he founded in 1883. Scholars have long assumed that the library also holds Sir Monier’s papers: these, however, remained with his family. Sir Monier-Williams’ great great grandson has now most generously donated these papers to the library. 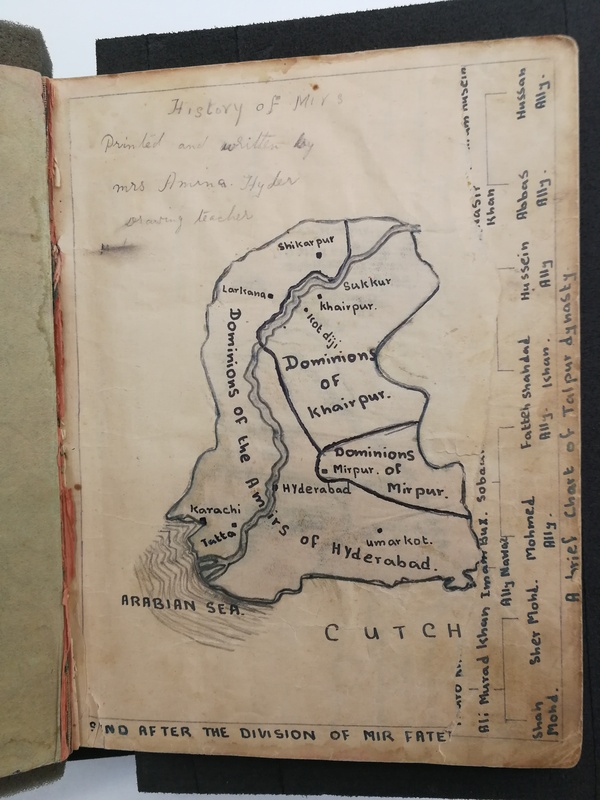 This archival collection includes diaries, material on the controversial election of Sir Monier to the Boden Professorship, his lecture notes and scrapbooks of newspaper clippings, all of which provide new insights into his career and the history of Indian Studies at Oxford. 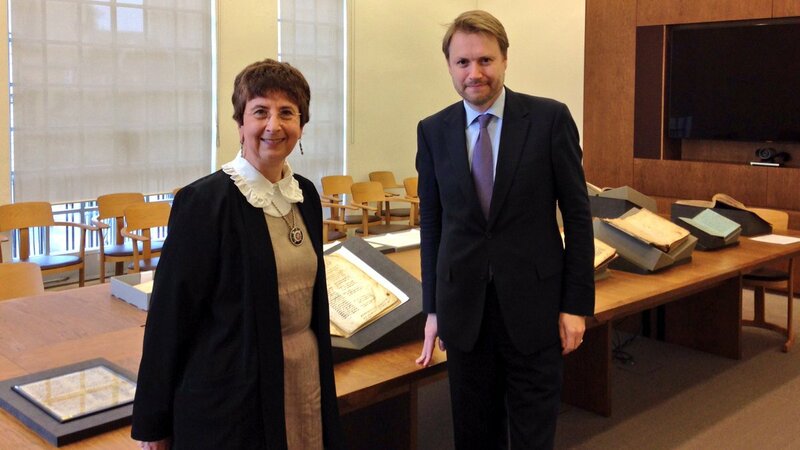 On Monday 25th October the Justin McKenzie Smith, the British Ambassador to Georgia, visited Oxford University’s Georgian Studies Programme and the Bodleian’s Wardrop Collection. 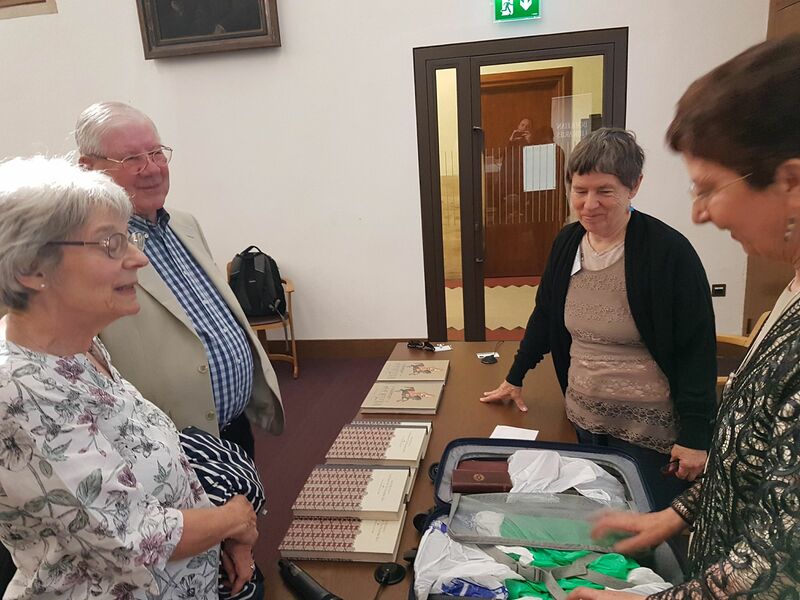 During his time at the library he was shown some of the new materials added to the collection in May and learned more about plans for 2018, which include Nikoloz Aleksidze’s forthcoming book with Bodleian Library Publishing, Georgia: a cultural journey through the Wardrop Collection. 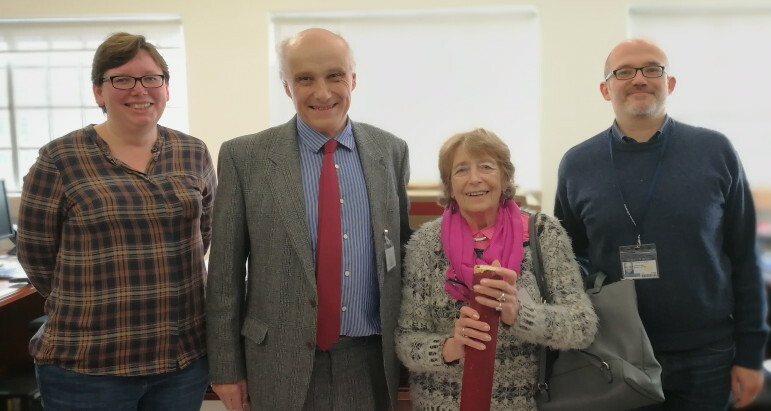 On May 17th descendants of the British diplomat Sir Oliver Wardrop visited the Bodleian to donate further items to the Wardrop collection on Georgia. 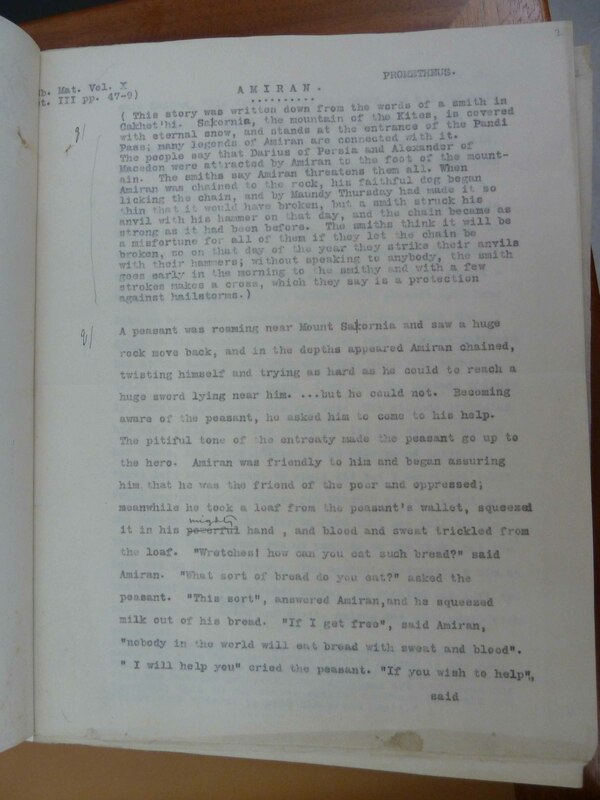 The newly donated material contains correspondence by Sir Oliver written during his period as British High Commissioner for Transcaucasia, 1919-20, and letters written by his sister Marjory on her first visit to Georgia in 1894. 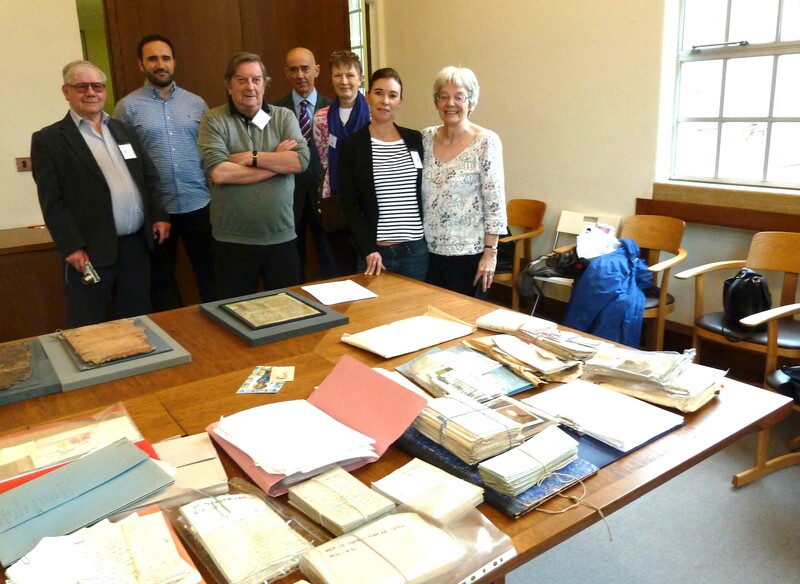 During their visit, family members were shown manuscripts already in the Library’s Wardrop collection by Dr. Nikoloz Aleksidze, who is currently writing a book about the collection. In April of 2015, the Trustees of the Simon Digby Memorial Trust deposited a large collection of Oriental Manuscripts belonging to the Late Simon Digby (1932-2010) with the Special Collections Department of the Bodleian Libraries. Almost a year later, the collection was officially donated to the Library. 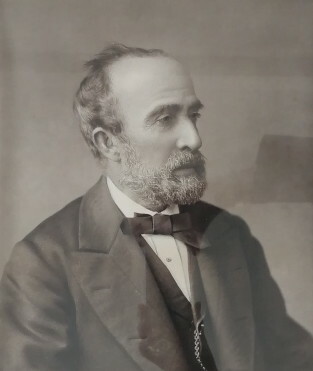 Mr. Simon Digby, a descendent of Sir Kenelm Digby (d. 1665), whose Western and Oriental manuscript collection the Bodleian Library also holds, was a Fellow of Wolfson College, and a scholar, linguist, translator, and collector. He was Assistant Keeper of Eastern Art at the Ashmolean Museum from 1972. Above all a lover of India, Mr. Digby spent a great deal of time in that country (indeed, he was born and died there). However, the bulk of his collection was amassed in Britain at the auctions of manuscripts from the collections of Thomas Phillipps of Middle Hall (d. 1872); Sir Richard Burn, KCIE, ICS (d. 1947); A. H. Harley (d. 1951); and others. MS. S. Digby Or. 210 – A 15th-century illuminated manuscript of poetry from Herat in Afghanistan. 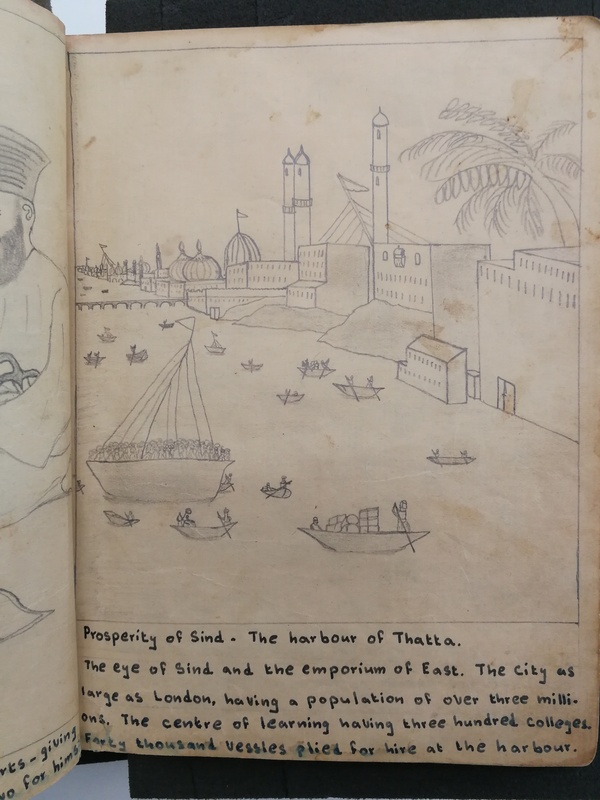 The Simon Digby Oriental Collection consists of over 260 manuscripts the majority of which are in Persian, with a handful in languages such as Arabic, Urdu, Turkish, and some in Indian languages including Sanskrit and Gujarati. The collection contains important and rare works in the fields of Indian history, biographies of Sufi Saints, and biographies and poetry of the Persian Poets of the Sabk-i Hindī or Indian Style. Upon arrival in the Library in April 2015, the entire collection was sent to a specialist conservation laboratory for thorough drying and cleaning. 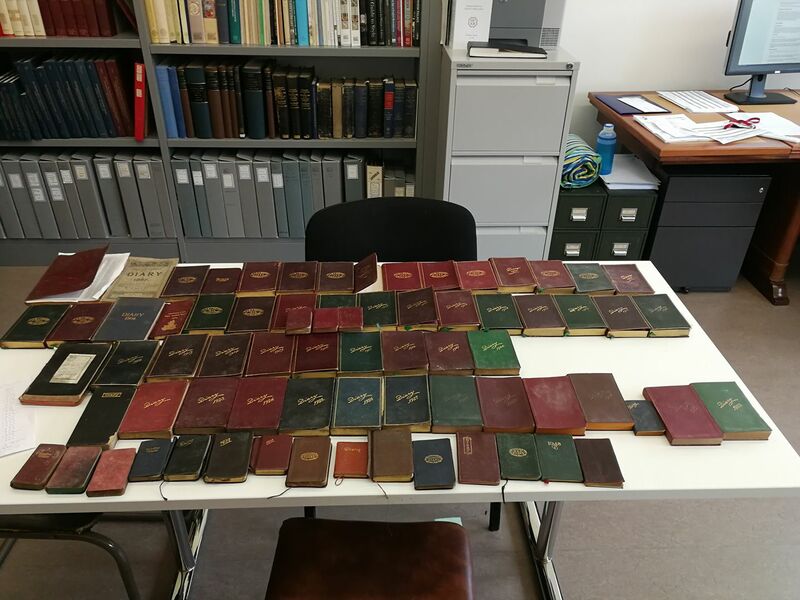 When the books returned, some months later, staff in the Oriental Department began work assigning new shelfmarks, making observations on the general condition of each book and measuring each volume for a custom made archival box. Certain items were also flagged up for extra care from the conservation department of the Library. Each manuscript is housed in its own custom-made archival box. At the same time, work began on cataloguing the collection for which Mr. Digby’s extensive notes and handlist proved very useful. These notes together with information obtained through examination of the volumes were converted into online catalogue records in the Fihrist database – a UK based union catalogue of manuscripts from the Islamic world. 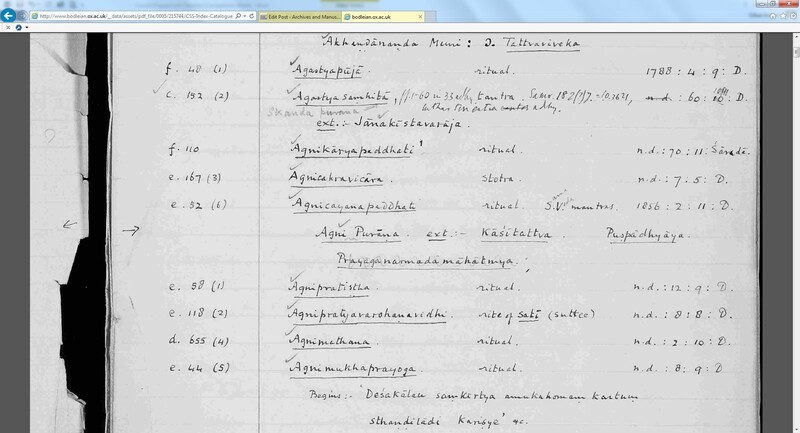 Browse the S. Digby Oriental Collection on the Fihrist Database [work-in-progress]. To date, 168 entries appear on Fihrist, and work is currently underway to catalogue from scratch the remaining works for which no notes exist. Detail from MS. S. Digby Or. 129 – A history of the coinage of India. On 20th December, the Bodleian’s Clay Sanskrit Librarian, Dr. Camillo Formigatti, was pleased to be able to announce the launch of a complete digital version of the Index Catalogue of MSS. Chandra Shum Shere by T. Gambier Parry, revised and completed by E. Johnston. This small project was made possible by a generous grant from the Max Müller Memorial Fund. Each file is available in two different resolutions: the first for fast internet connections and fit for printing, the second for slower internet connections and to be displayed on-screen. All files are provided with bookmarks for easy navigation. We hope this basic navigation tool will help all manuscript lovers to find their way through the thousands of manuscripts in this valuable collection. 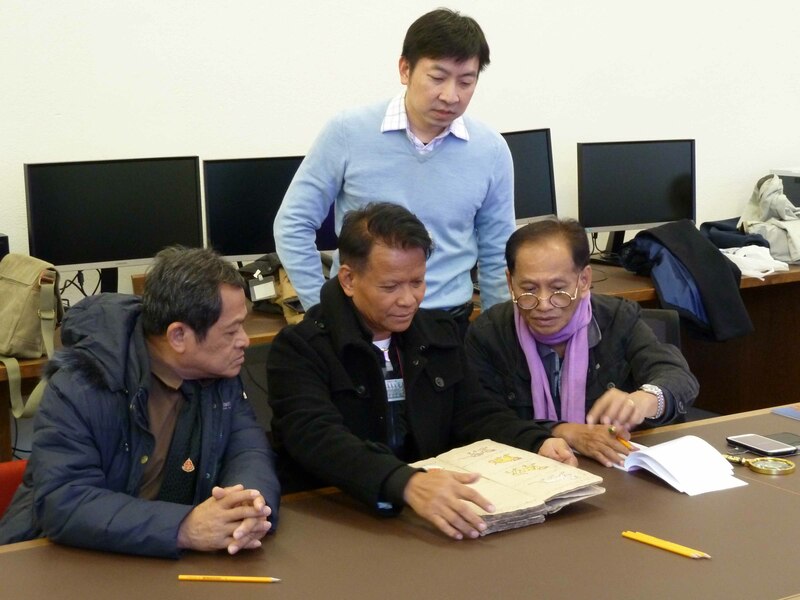 On 14th and 15th December staff from Bodleian Special Collections and Digital Library Systems and Services welcomed representatives from the Manuscript Conservation Association of Thailand. Delegates included Mr. Boonlert Sananon, President of the MCA, Mr. Boonlue Burarnsan, Vice President of the MCA, and Mrs. Phatchanun Bunnag, Registrar of the MCA. 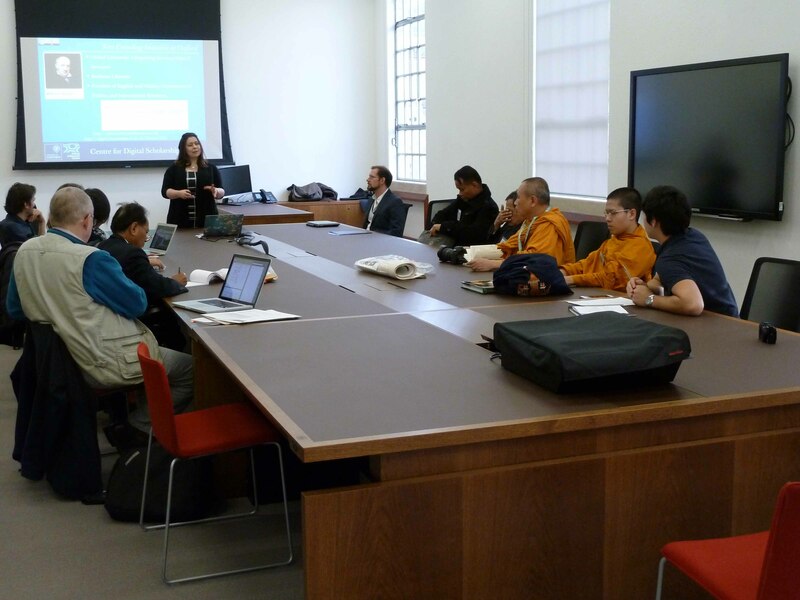 During the first day of the workshop delegates discussed the latest developments in TEI /XML cataloguing standards for Thai manuscripts at the Centre for Digital Scholarship. On the morning of second day of the workshop the delegates visited the Conservation workshop. This was followed by a lecture by given Mr Saneh Mahapol, from the Fine Arts Department of the Ministry of Culture on the conservation of palm leaf books in Thailand. The workshop ended with delegates helping the library to identify and make basic TEI descriptions of uncatalogued Thai manuscripts in the Bodleian’s collection. Visitors to the Weston Library on Wednesday 30th November will have the opportunity to see two Georgian manuscripts from the Wardrop collection, which will be on display to accompany Dr. Nikoloz Aleksidze’s lecture ‘Amiran Unbound’: Christ’s last foe in the Caucasus. From the early days of their 1894 stay in Georgia, Marjory Wardrop and her brother Oliver were fascinated by the abundance of tales of a chained hero Amiran, recounted throughout the entire Caucasian highlands. These stories bore a striking resemblance to the classical myth of Prometheus, meanwhile revealing a quasi-Christian influence. The Wardrops launched something of an ethnographic quest in attempts to discover the lost ‘Caucasian cousin’ of the Greek titan. 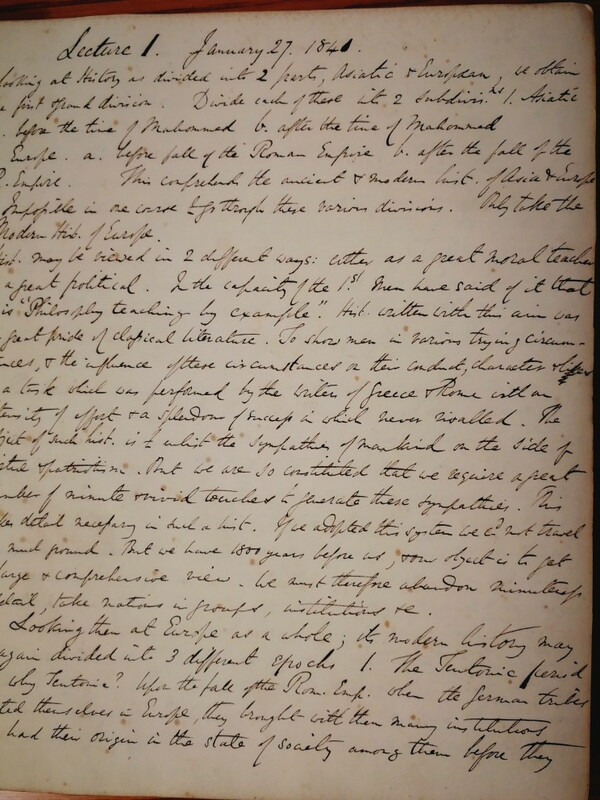 The display will include Oliver Wardrop’s notes on a version of the tale told by a smith (MS. Wardr. d. 40/4, f. 2r). The legend says that when Amiran was chained to the rock, his faithful dog began licking the chain and by Maundy Thursday had made it so thin that it would have broken had it not been for a smith striking his anvil with his hammer that day, which caused the chain to become as strong as it was before. This gave rise to the tradition of smiths striking their anvils on Maundy Thursday to ward off the calamity of Amiran escaping his chain. 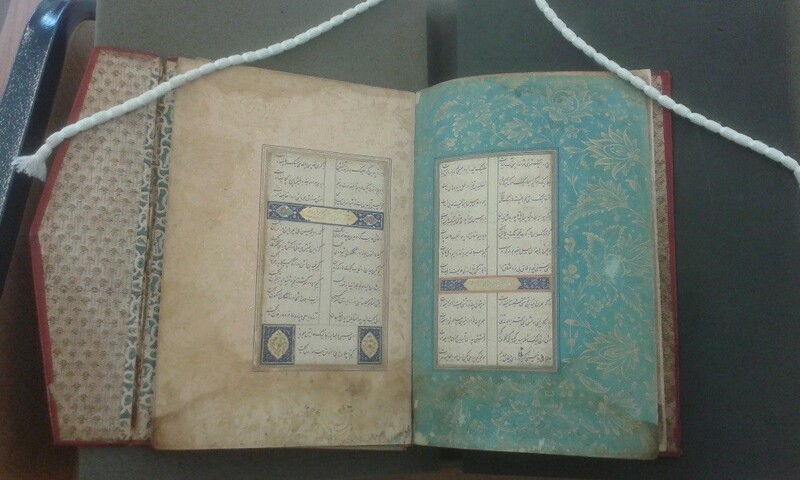 A 19th century manuscript of the Bežaniani, one of the many Georgian adaptations of the Shahnameh, will also be on display (MS. Wardr. e. 23, fols 24v-25r). 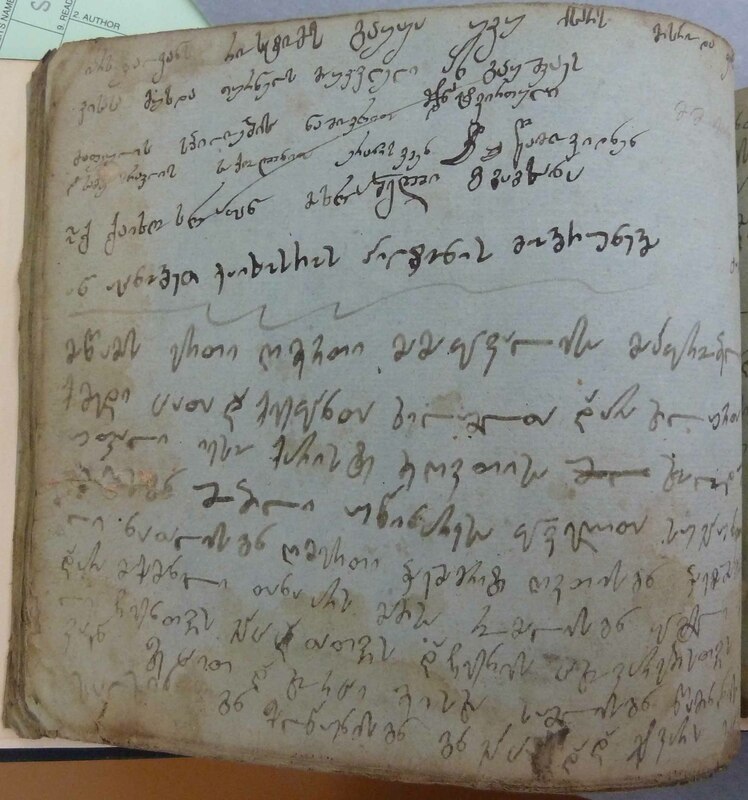 Manuscripts of this type were used for oral performances in the public spaces of Tbilisi. The crude addition of the orthodox creed in the opening on that will be on show, suggests the religious zeal to suppress such ‘unchristian’ behaviour. Registered lecture goers will also have the chance to view these manuscripts from 5pm in the Blackwell Hall before the start of the talk at 5.30pm. 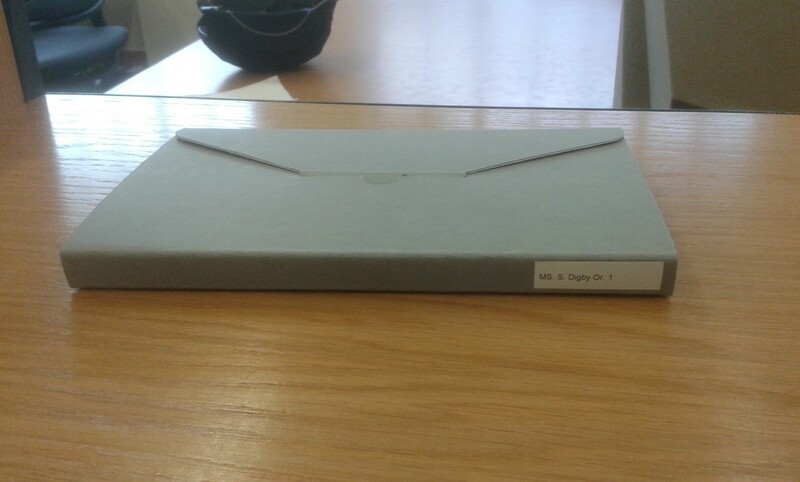 One of the joys of working for the Bodleian is the capacity of manuscripts to surprise. 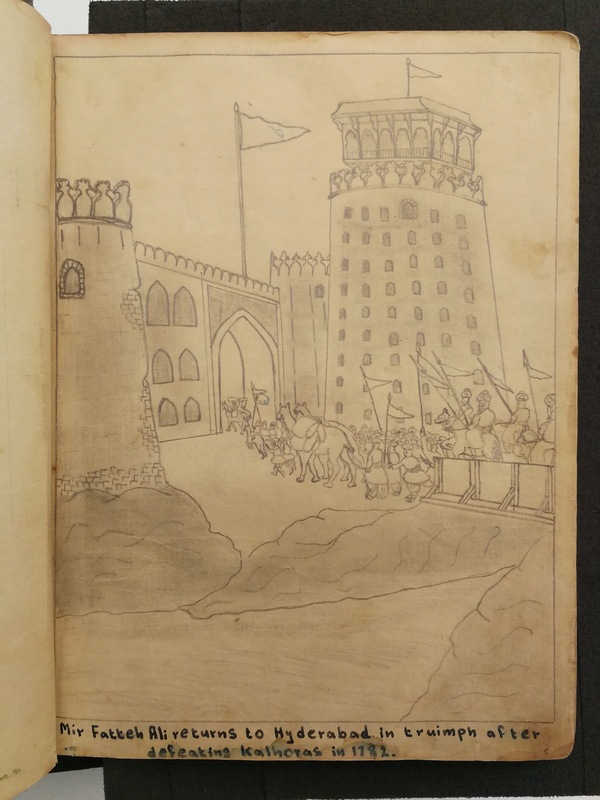 During the final preparations for The hunt in Mughal India exhibition , I was asked to look at the mount of one of the manuscripts for display (MS. Ouseley Add. 171, f. 6r). The 1947 mount tightly framed the miniature, which is painted in subdued greens and browns. When folded back from the miniature, the artist’s border of warm pink and gold was revealed, bringing the whole composition to life. It was a pleasure to give permission for the old mount cover to be removed so the picture could be displayed as the artist had originally intended it to be seen. 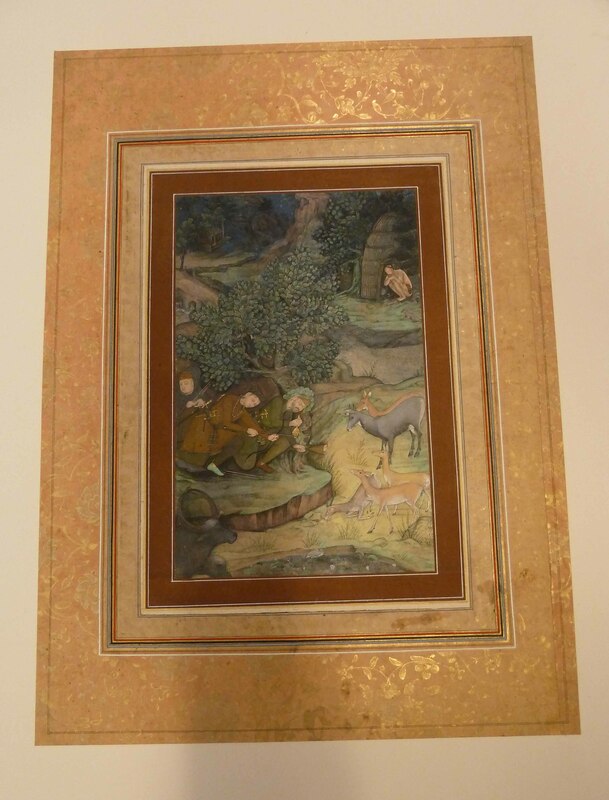 A further hidden masterpiece that cannot be shown in the exhibition is the reverse of the painting of the nobleman hunting with a decoy blackbuck (MS. Douce Or. b. 3, f. 29r), which is covered with exquisite calligraphy. 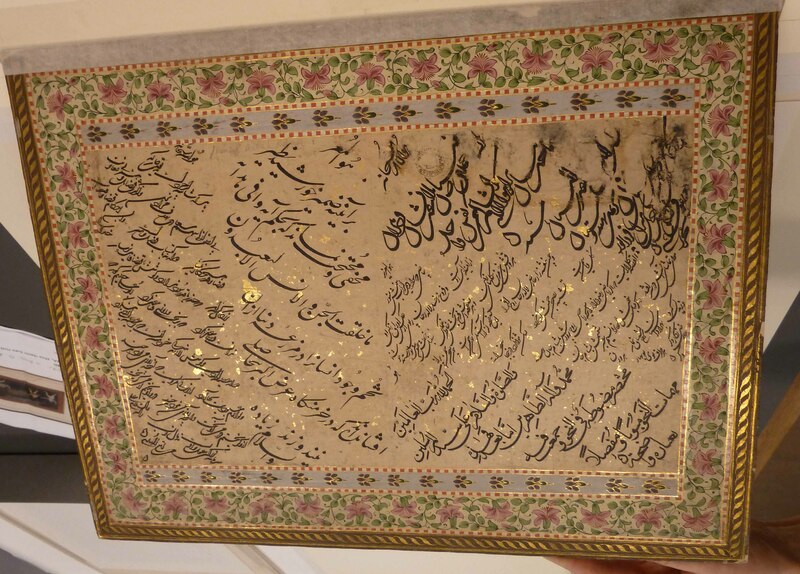 The relationship between the calligraphic panel and the painting has yet to be fully researched. 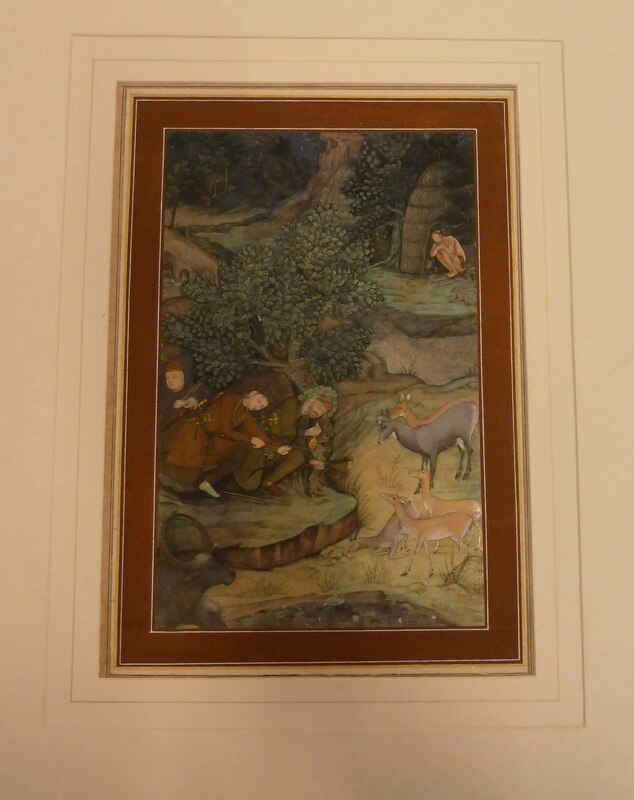 The hunt in Mughal India exhibition runs until the 8th of January and is open to the public. 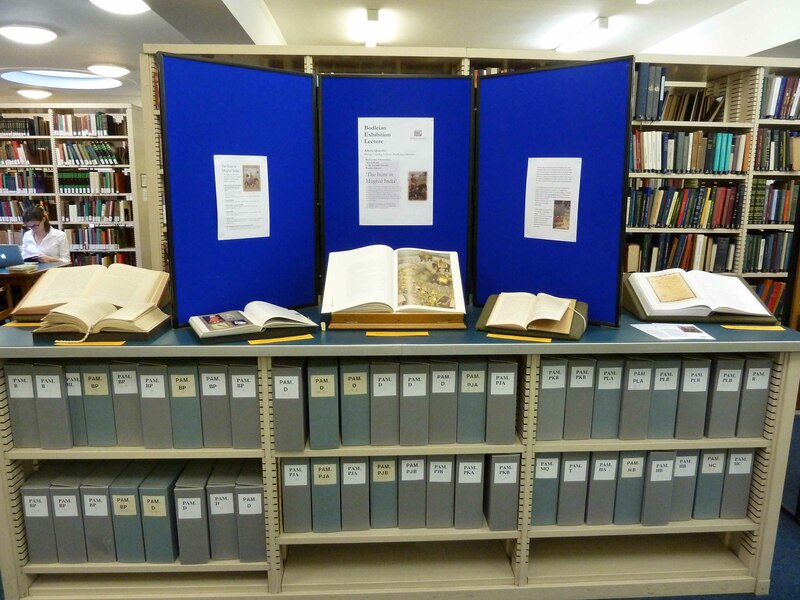 Readers at the Bodleian Oriental Institute Library can also see an associated exhibit of modern printed books relating to the theme of the Mughal hunt.